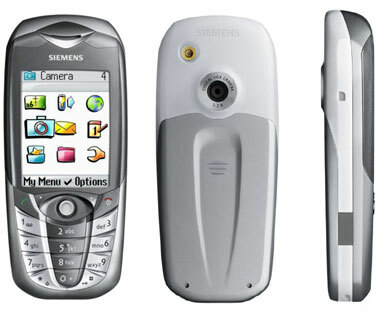 This is the first model with a large screen and 11 MB of memory by this company. It is positioned as youth solution that comes to replace MC60. Unfortunately, the quality of the screen is not so high inspite of its characteristics. Time for charging a bit longer than 2 hours. 11 MB of memory are shared dynamically between all the applications, a possibility to use free place for transporting any files. 8 users' groups, 6 are editable, two aren't (other, received). A possibility to assign a group signal and an icon to a group. Organizer supports different kinds of events. A possibility to keep memos up to 50 characters in length in a calendar, set a reminder for them, even recurrent. Calendar - day, week and month view.